Water mining on the lunar surface suddenly transforms the moon into an essential stopping point for any crewed ships heading towards Mars and beyond. As I’ve mentioned many times before, the moon will play a crucial role in helping us to send astronauts to Mars. NASA is looking to use the upcoming Asteroid Redirect Mission as a proof of concept for pulling giant rocks off the surface of near-Earth asteroids and putting them in lunar orbit. The practical reasons why are unclear, but I strongly suspect that if NASA is expecting to use water as a jet propellent in the future, it is looking to use the moon as a hub for water storage. 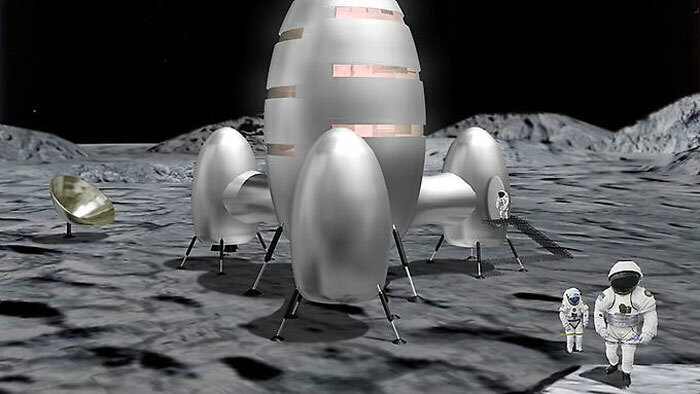 This might not just be limited to the mining water out of the ground; it might also extend to keeping plenty of rocks in lunar orbit from which water can be easily extracted. Water is basically the most important resource we’ll be looking for and using when space travel finally become a normal way of life for human beings. And the SPACE Act is the first step toward turning the solar system into our own vast sandbox — where we race around for buried treasure before anyone else can get to it. As the prospect of getting astronauts to Mars becomes more likely, we can expect to see the moon transform from a beacon of discovery into a continent attracting attention from industrialists across the globe.